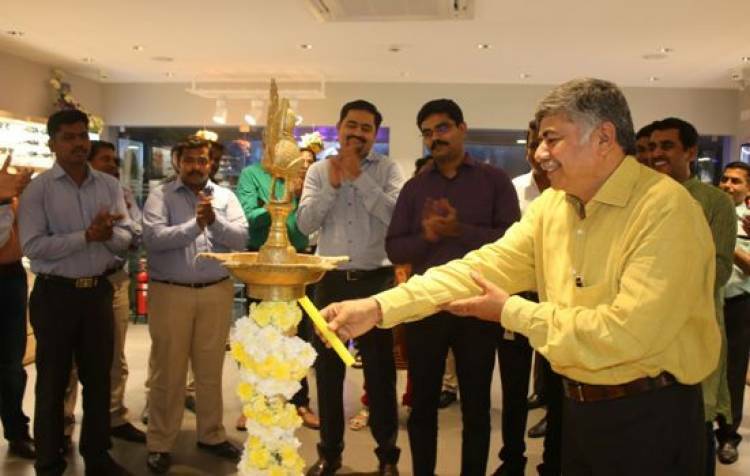 Titan Eyeplus, India’s largest optical retail chain from Titan Company Limited, inaugurated their first boutique store in Chennai, Tamil Nadu. Located next to Naturals, opposite Sri Krishna Sweets, C P Ramaswamy Road, Alwarpet, the new boutique store aims at providing an enhanced shopping experience to customers. With an extensive retail network across the nation, this is the 24th store in Chennai and 72ndstore in Tamil Nadu. Spread across 1600 sq. ft., the new store was inaugurated by Mr. Bhaskar Bhat, Managing Director - Titan Company Limited. The store offers varied frames & lenses starting at INR 495 & INR 395, respectively, personalized to suit the diverse tastes. To commemorate the launch, the brand is offering a flat 10% off on all products until December 19, 2018. The store offers an open browse & try format which helps customers to pick and choose from a wide variety of trendy frames, lenses and sunglasses, from Titan Eyeplus as well as other international brands such as Tommy Hilfiger, Rayban, Steppers, Vogue, Oakley etc. It also showcases innovative products by the brand, such as Flip-ons, an eyewear product that combines spectacles and sunglasses into one, making it a stylish, affordable and convenient option for spectacle wearers who want to step out in the sun without compromising on comfort. Customers can also avail of high precision Titan lenses and customized powered sunglasses. For those who are looking at testing the eyes, there is the Free Zero Error Eye Testing option conducted by optometrists who are trained and certified by the world famous Sankara Nethralaya.